Reformation Gear | Celebrate the Reformation and order Yours Today! 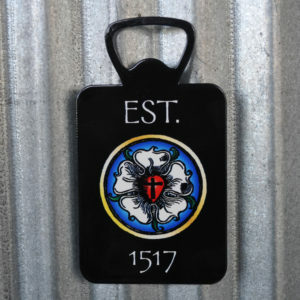 Give the gift of the Reformation! 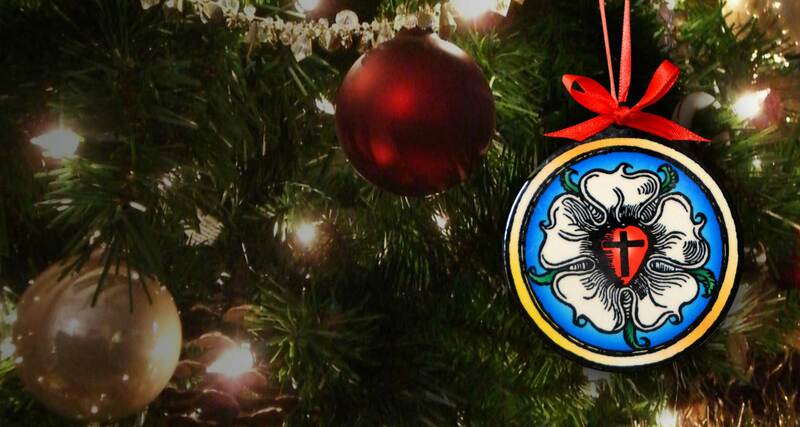 Celebrate the Reformation with friends and family this holiday season. 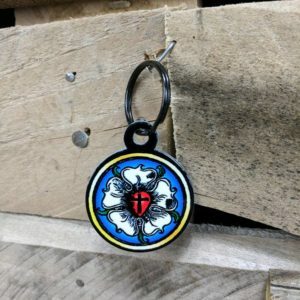 Our all new Luther Rose gifts provide a meaningful way to share the truth of the Gospel and the Reformation this Christmas and throughout the year. Ever wish you could high-five the 16th Century Reformer, Martin Luther? 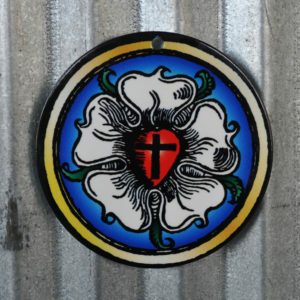 Best known for re-discovering the Gospel and nailing stuff to doors, Luther is beloved by Christians everywhere. 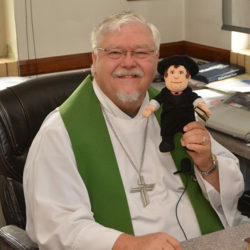 At Reformation Gear, we feel the same way, so we’ve taken your favorite Old-Church-Guy Theologian and made him into the coolest plush toy that you can take with you anywhere! We have the perfect gifts for family, friends, kids, or pastors! 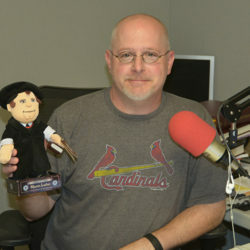 I like that he is holding the Bible–essential, really–and that Luther’s Morning & Evening Prayers are also included. Facial expression is friendly but wise, just enough expression. 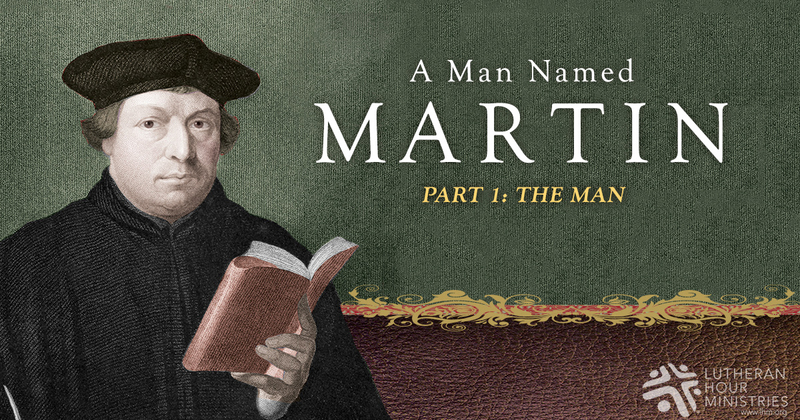 Martin Luther’s morning and evening prayers are centerpieces of Lutheran devotion. 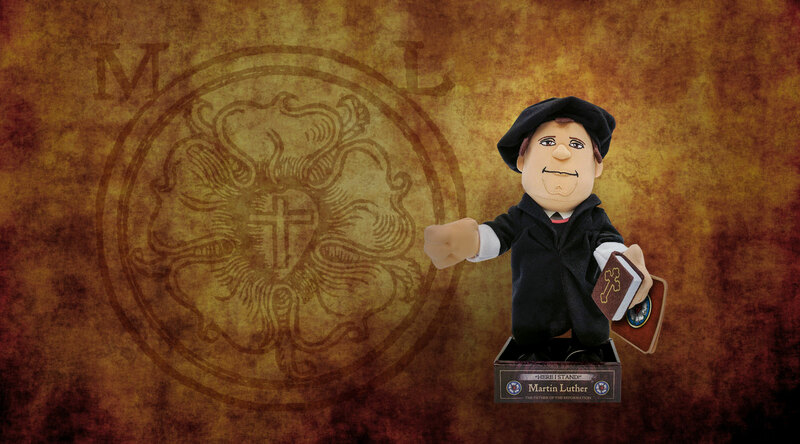 This unique Martin Luther figure featuring Luther’s famous prayers is a fun way to keep these prayers on our lips, remember the Reformation and Luther’s role in it 500 years later. 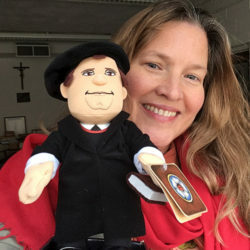 This Martin Luther plush figure from ReformationGear.com is a fun and educational way to introduce your children to one of the greatest figures in history. A visit to the web site promises interesting and useful information about the Great Reformer, too. I plan to purchase one for my own grandchildren AND for each child I baptize during this celebration year. 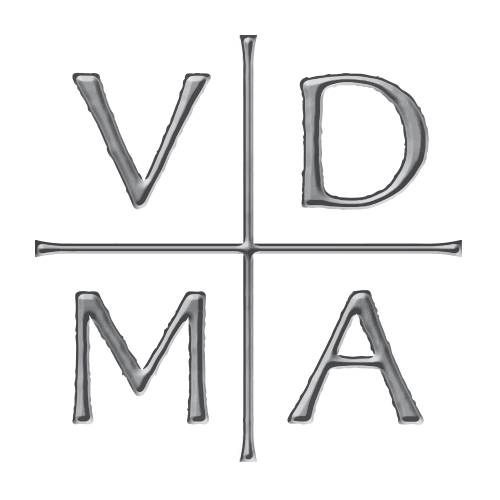 Verbum Domini Manet in Aeternum (The Word of the Lord Endures Forever) is the motto of the Lutheran Reformation, a confident expression of the enduring power and authority of God’s Word. The motto is based on 1 Peter 1:24–25. It first appeared in the court of Frederick the Wise in 1522. He had it sewn onto the right sleeve of the court’s official clothing, which was worn by prince and servant alike. It was used by Frederick’s successors, his brother John the Steadfast, and his nephew John Frederick the Magnanimous. It became the official motto of the Smalcaldic League and was used on flags, banners, swords, and uniforms as a symbol of the unity of the Lutheran laity who struggled to defend their beliefs, communities, families, and lives against those who were intent on destroying them.